IN case you did not get the memo, crime does not pay. 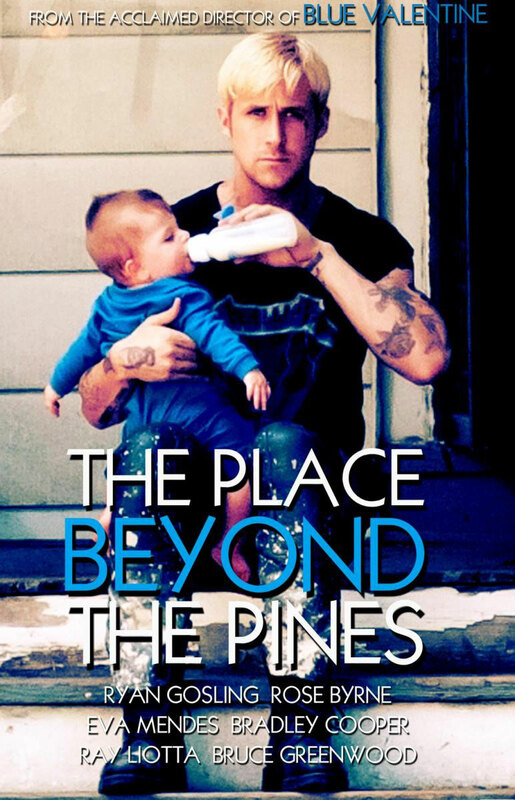 This premise is played out in the long, drawn out psychological thriller, “The Place Beyond the Pines,” which also means Schenectady in a native American dialect. High-wire motorcycle stuntman Luke (Ryan Gosling) learns this firsthand after he runs afoul of the law and into a game of wits with ambitious and possibly unscrupulous police officer Avery Cross (Bradley Cooper). Luke’s heart is in the right place when he quits the circus life for a day job at an auto repair shop. He now has a family to support, he learns when he returns to Schenectady in upstate New York and looks up ex-girlfriend or friend with benefits Romina Eva Mendes). She’s had his kid, a boy. Luke is on the straight and narrow until his boss Robin (Ben Mendelsohn) sees something in him: possibly a sap with a couple of useful skills that he can entice into the bank robbery trade. They throw in together and have some pretty incredible successes. Soon enough, though, the law comes calling. The rest is a fair to middling story.